Idea movie club offers on latest movies and recorded Tv Shows last seven days. Also, you can get the trending trailers, Youtube videos, music videos and lots more. Get upto date with a fresh content every week. Idea app is really very awesome for movies, short clips & Tvs lovers. Get Free 30 Days trial. Offer valid for Idea Users. How to use the Idea Movie Club App ? Veify the OTP number in your mobile phone. How you can refer to earn money from app ? Open Idea Movie Club App. Go to menu and refer. Get code and refer and friends. When your friend install the app, you get 512 MB Data and your friend too get 512 MB Data as per invite. 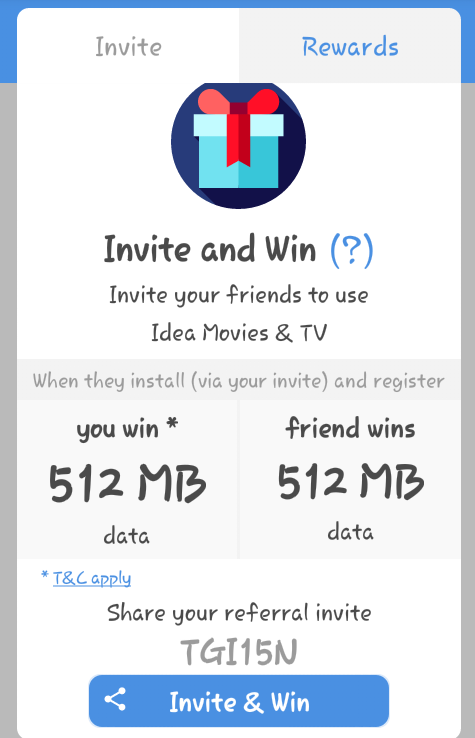 idea movie club apk download. check out the link below.